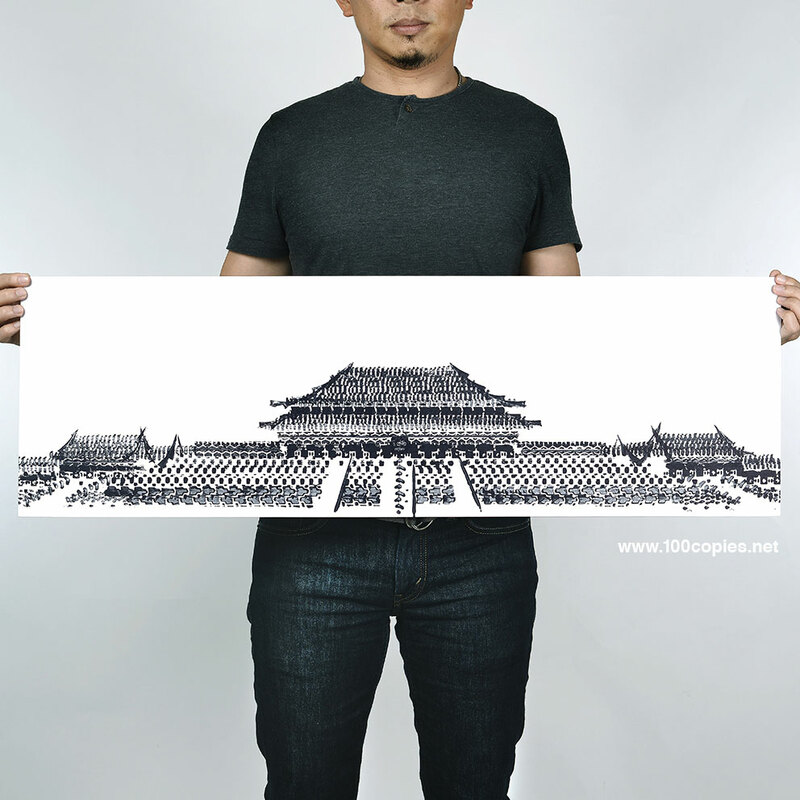 Accomplished Singapore-based art director/designer Thomas Yang has two passions in life: design and cycling. 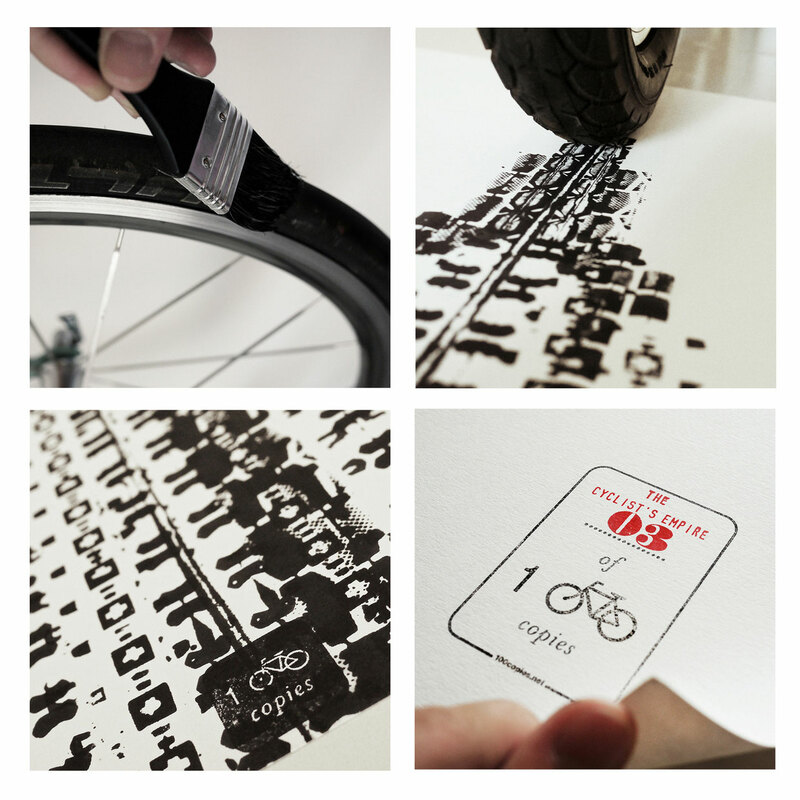 Yang merges the two (quite expertly, we might add) by way of this ongoing collection of limited edition cycling-related prints, aptly titled 100copies (sold here). 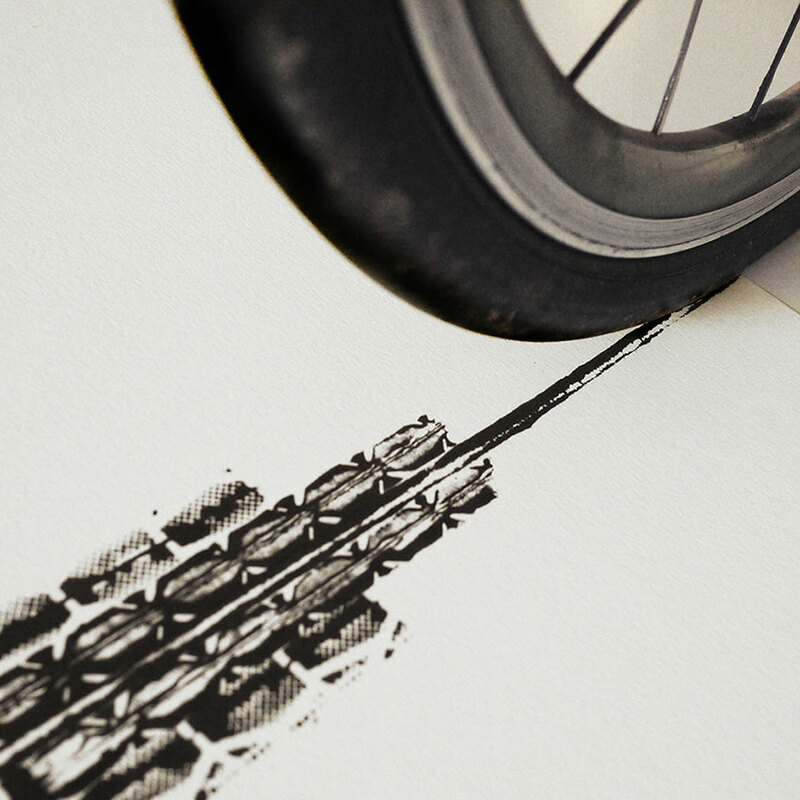 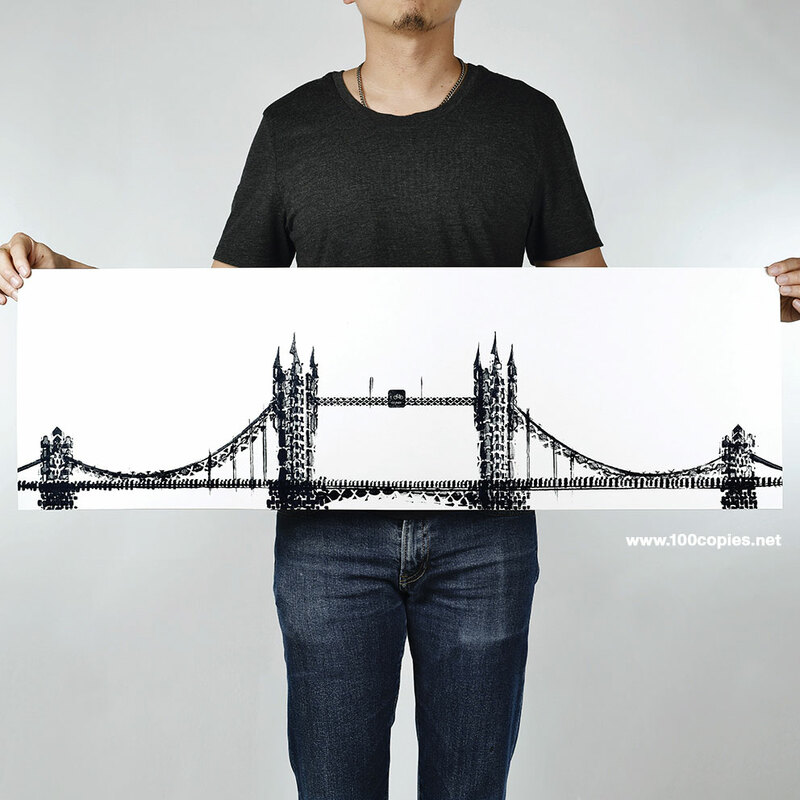 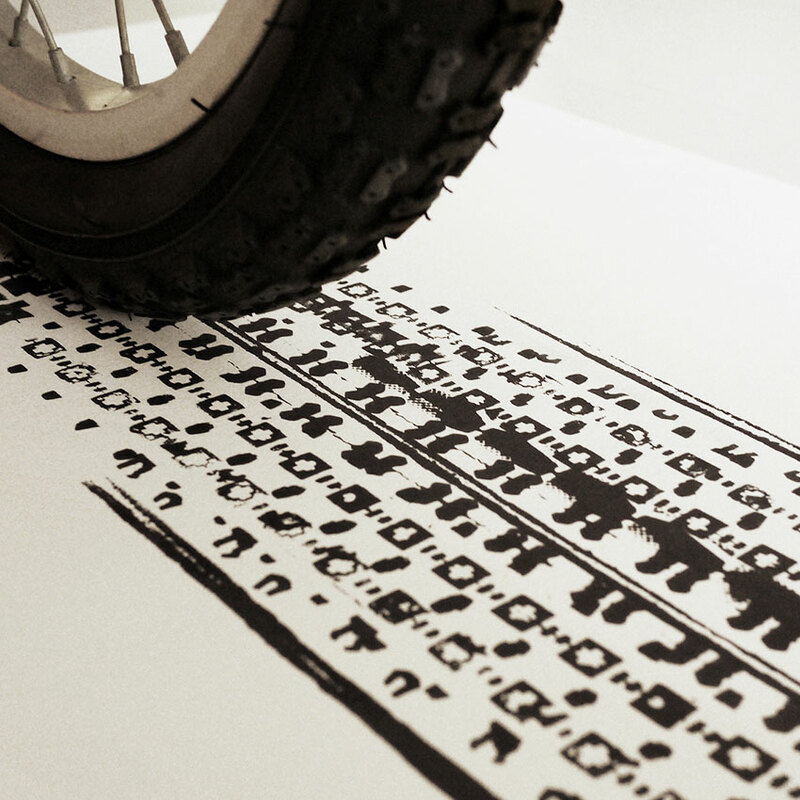 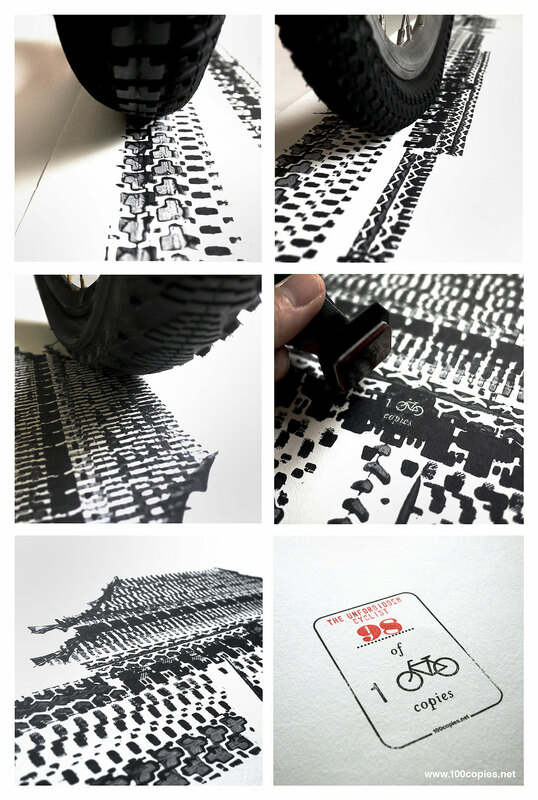 You don’t have to be an avid cyclist to appreciate this brilliant work from Yang. 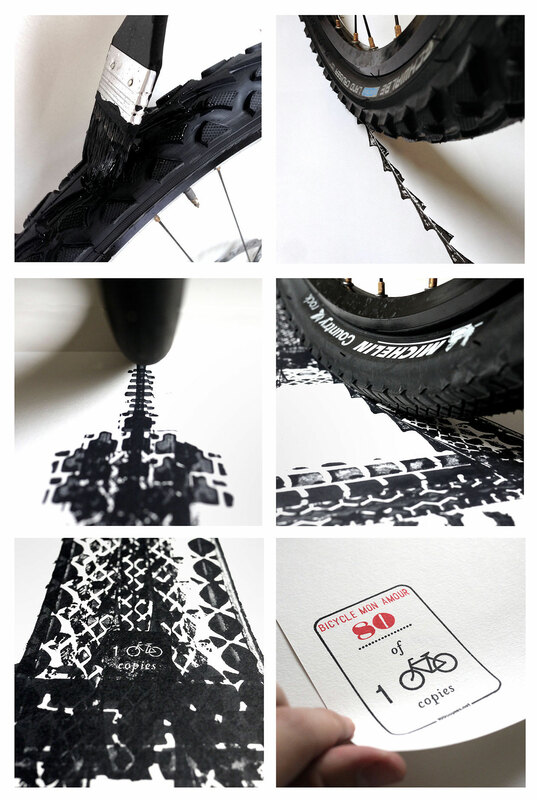 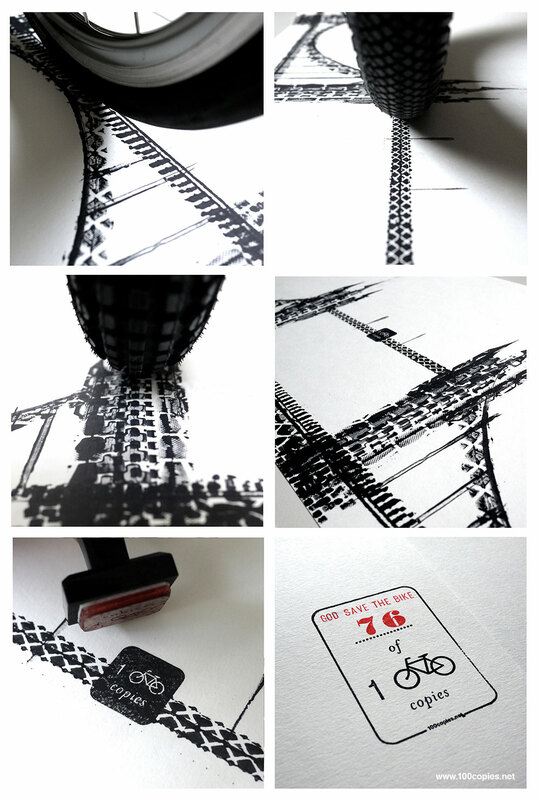 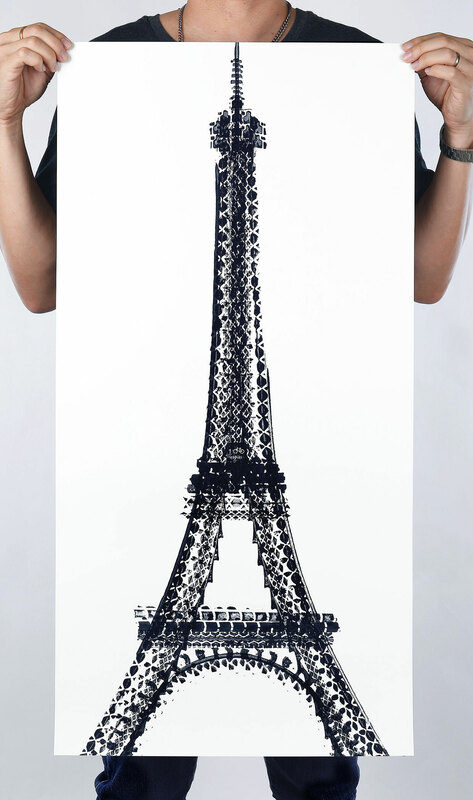 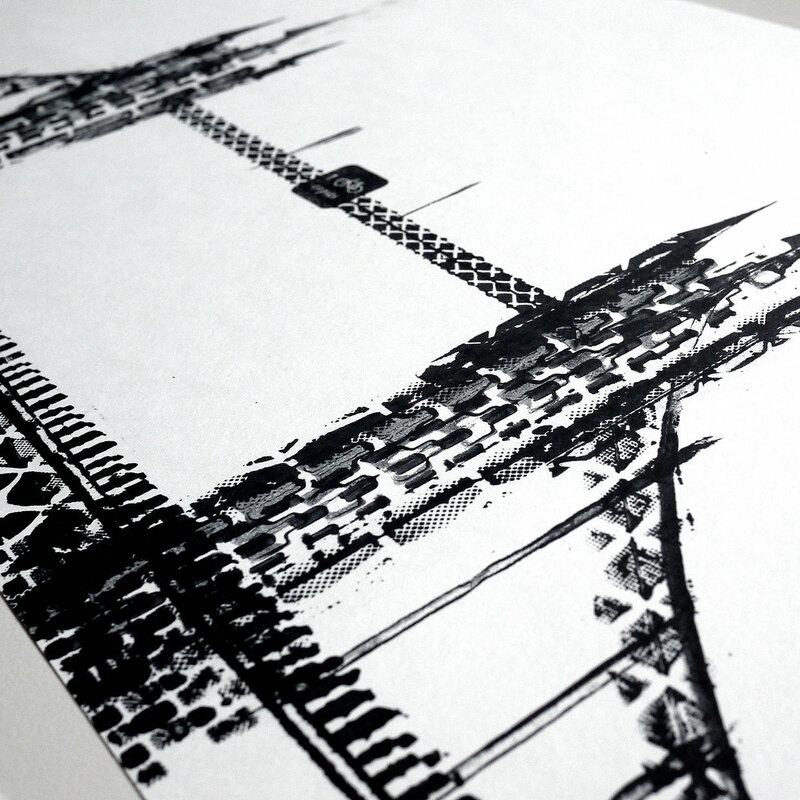 His process involves a strategic use of bicycle tires as stamps, essentially creating bold renderings of architectural landmarks from around the world. 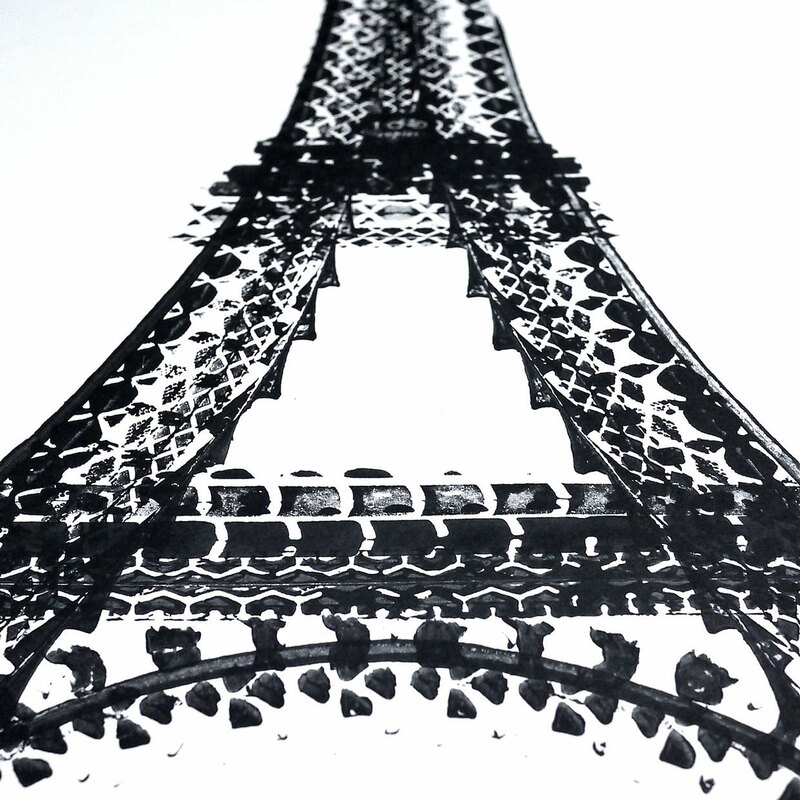 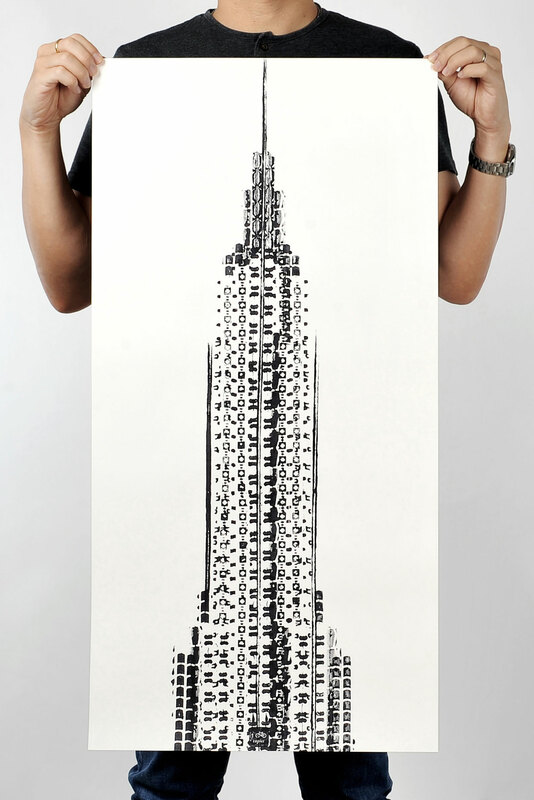 So far, Yang has produced four different architectural designs — “The Cyclist’s Empire” (Empire State Building), “God Save the Bike” (Tower Bridge), “Bicycle Mon Amour” (Eiffel Tower) and “The Unforbidden Cyclist” (the Forbidden City) — among other items, like posters, tees, stickers and tote bags. 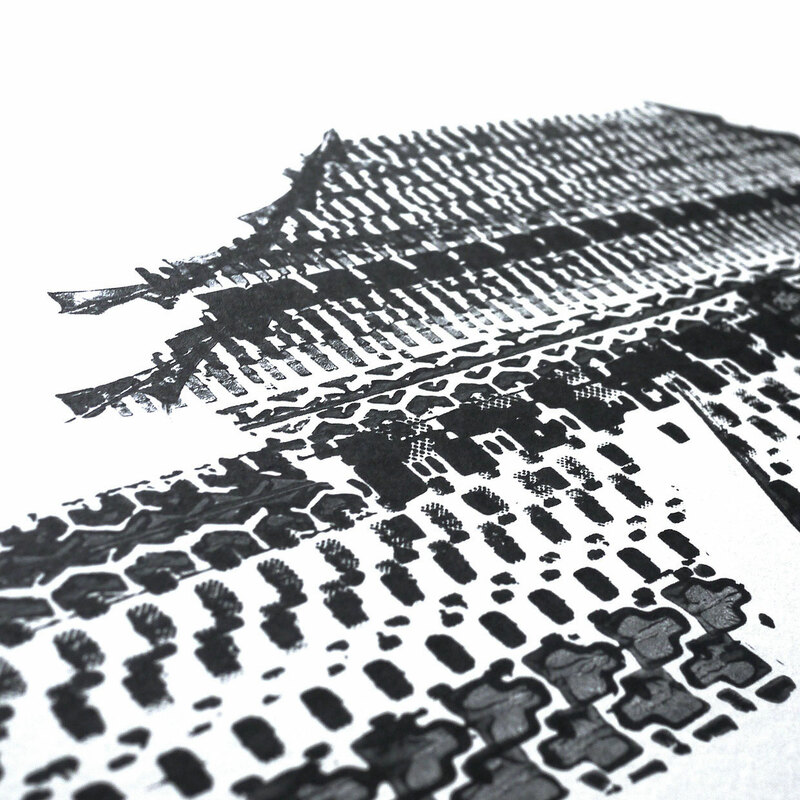 We’re looking forward to seeing what Yang comes up with next.